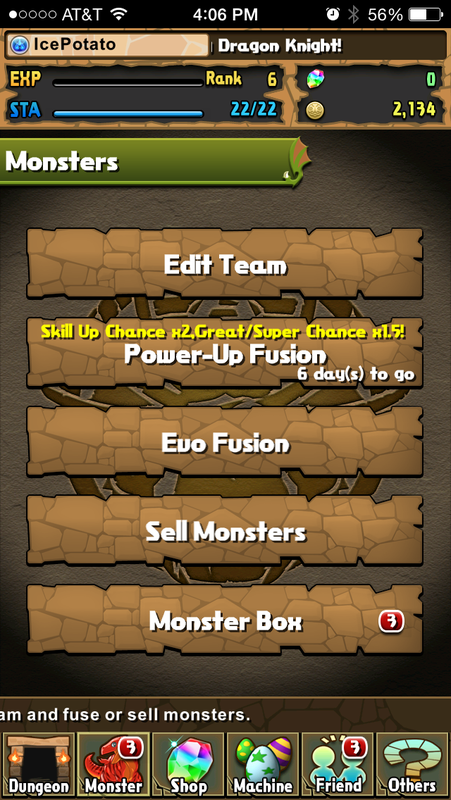 It's impossible to talk about many mechanics present in the App Store today without talking about Puzzles and Dragons. As far as I can tell, this is the prototypical monster collection + fusion game. P&D launched in February 2012 and according to the developer, it drew inspiration from card games. However, there are clear influences from Puzzle Quest (2007), which took Bejeweled's gem-matching mechanic and turned it into something that fueled spellcasting according to gem color. A set of equipment and quests supplemented the core match-three gameplay of the genre. There's also a call to the Shin Megami Tensei games (1994), which have long featured the concept of collecting and fusing monsters together to increase their power. However, P&D couldn't be the powerhouse it is without their Free-To-Play mechanics. In order to progress, you need to gather additional monsters and these monster-gathering mechanics strongly resemble capsule machines (1). These impulse-buy vending machines might seem vaguely familiar to Americans who are used to American supermarket toy dispensers, but Japanese capsule machines are on another level entirely. Capsule machines are similar to collectible card packs such as Magic: The Gathering or Pokémon. You put in money, turn the crank, and something pops out. It might be a rare, limited edition item. It might be an overwhelmingly common item. The random reward functions like a slot machine, and there are people (2) who will camp machines, pouring money in for that One Rare Item. Certain mechanics may be novel to P&D, but it's difficult to tell given how widespread these mechanics are now. In particular, there is a friends mechanic where you select "helpers" (other players' avatars) to bring into battle. In some ways this is reminiscent of the Farmville model where you pull your friends into the game to get additional bonuses. P&D elevates this mechanic by creating a "friend coin" currency where using your friend's avatars gets you tokens used to summon slightly better monsters, encouraging you to request a friendship with every person you come across. There are countless more examples, but they all share similarities, aesthetic and functional. 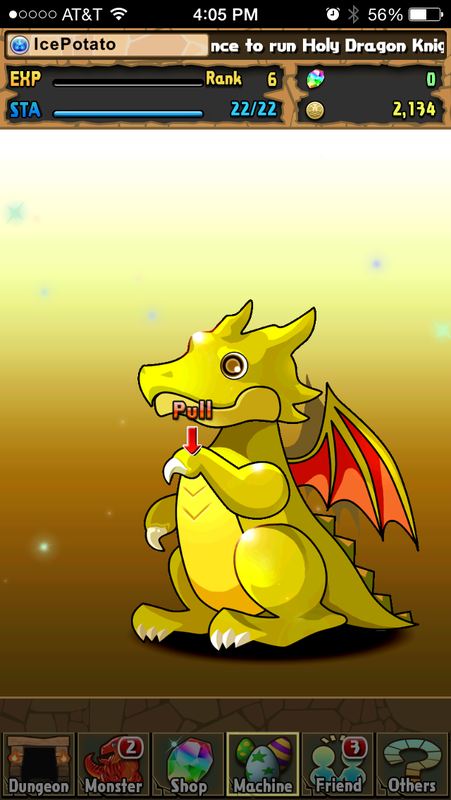 Limited-time promotional drops, a dragon-and-egg aesthetic, even the tabs at the bottom are all nearly identical across these three games. Each game lets you spend real money to purchase additional drops, but leaks out a small, steady amount of currency to keep you playing for free. All of these heavily repeated elements have some serious design flaws, though. 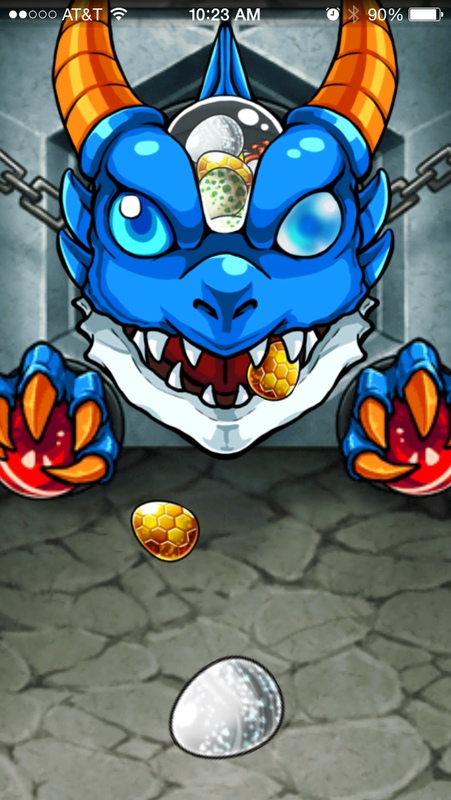 The incessant focus on gambling-like mechanics puts this game pretty squarely in the “pay-to-win” category, where the quickest way to success is to dump money into promotional “egg” contests to get superior monsters. These superior monsters thoroughly outclass common monsters that drop via early missions. Unfortunately, the game isn’t interested in teaching new players this lesson. The only way to learn that using fusion on early monsters will never get you to the same level of a rare monster is by understanding that this is a genre convention. 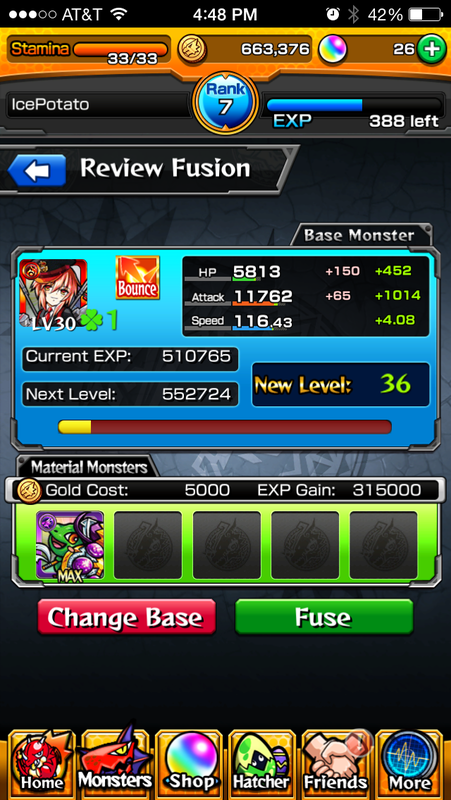 The fusion mechanics tend to be opaque, never revealing the kind of stat increases you get via levelling or evolution. As a result, you are tricked into thinking you are progressing when in reality you receive pitiful stat bonuses. Even the combat mechanics obfuscate how meaningful a monster’s statistics are. There’s no way to relate a +100 attack stat to the actual amount of damage you do to an enemy without carefully tracking numbers and puzzling out the algebra on your own. There are elemental bonuses where water is strong against ice, but “strong” is never defined – is it 1.5x attack? 1.1x? 2x? On top of that, when choosing a battle, you have no idea of the relative strength of the enemies versus your own team. Some missions will be labelled “hard” or “medium”, but that has no relationship to the strength of your team. It’s simply a static description that never gets updated. The only way to find out is to try and fail. Even comparing the relative levels of monsters doesn’t work because every “evolution” or step up on the power scale resets a monster’s level back to 1. 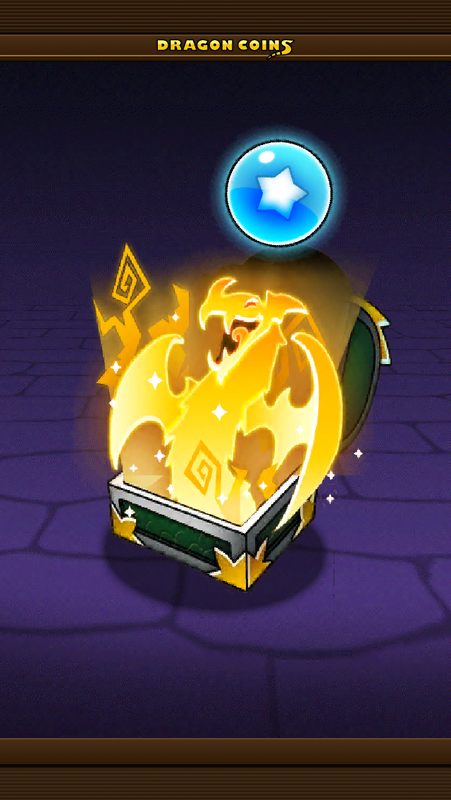 This means a level 1 5-star enemy is much, much stronger than a level 5 1-star enemy. There are plenty of similarities. The use of a limited-time promotion, token-based withdrawal system, with an option to pay real money to get more characters. 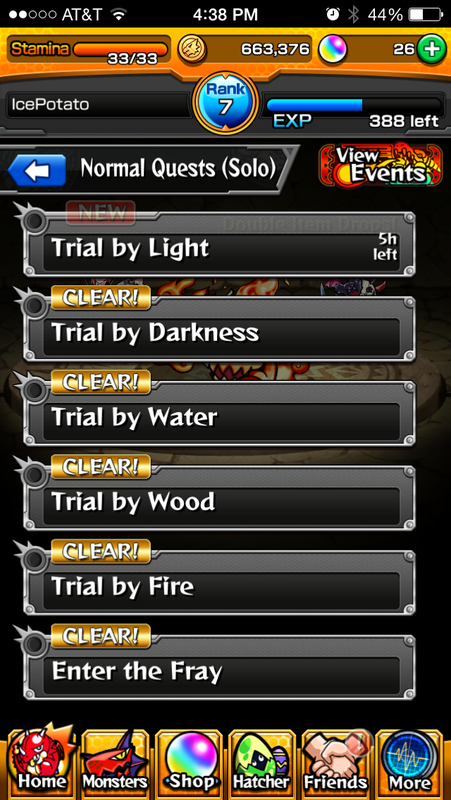 There's a quest system that's partially time-gated. There's still the leveling aspect to collectible characters. Yet the interface and underlying mechanics are distinct enough to show that being inspired by Puzzles and Dragons doesn't mean mimicking it right down to the menu layouts! 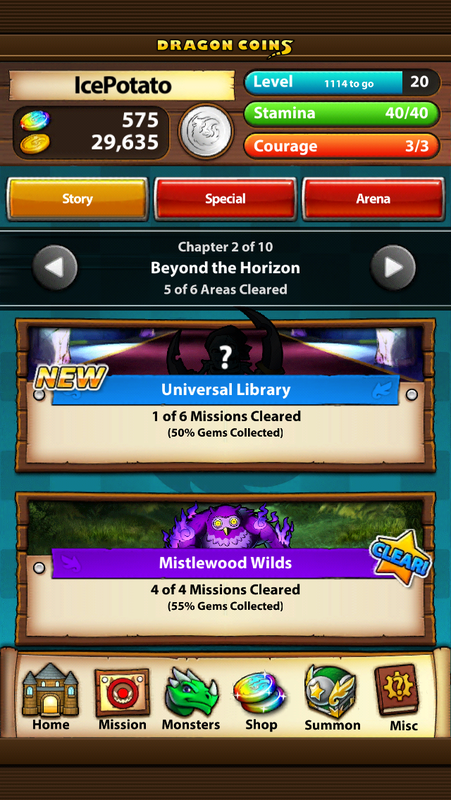 In fact, Marvel Puzzle Quest fixes many of the problems with the traditional Puzzles and Dragons formula. 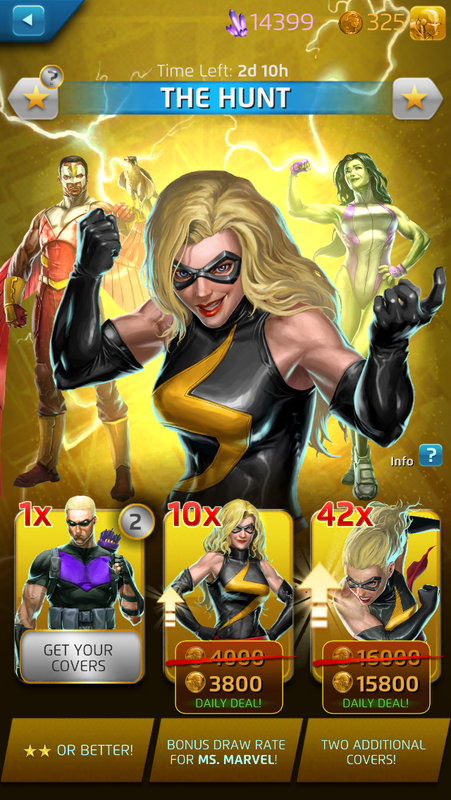 While there is still an emphasis on stronger characters, even low-level characters can be useful as specific characters will get boosts for specific events. Furthermore, all characters are measured on a relative scale where a level-40 1-star character is roughly as strong as a level-40 4-star character. 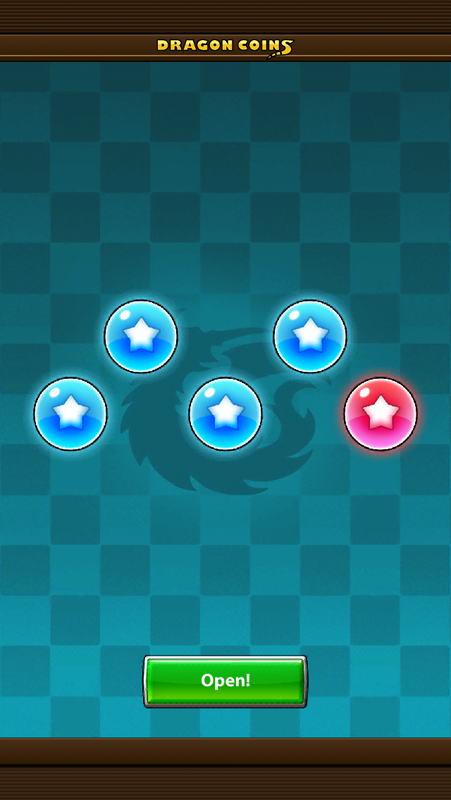 Leveling up your characters can only be done by collecting one of three character “covers”, where each of the three covers improves one specific ability. 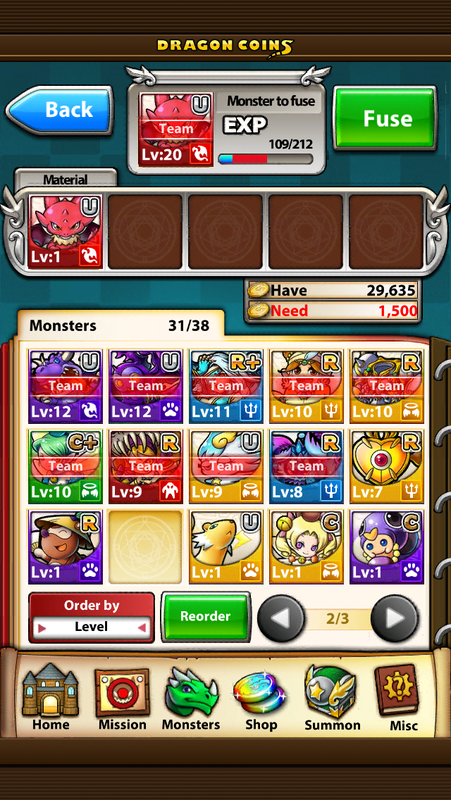 Events are rated “trivial” to “impossible” based on the levels of your team as compared to the enemy. 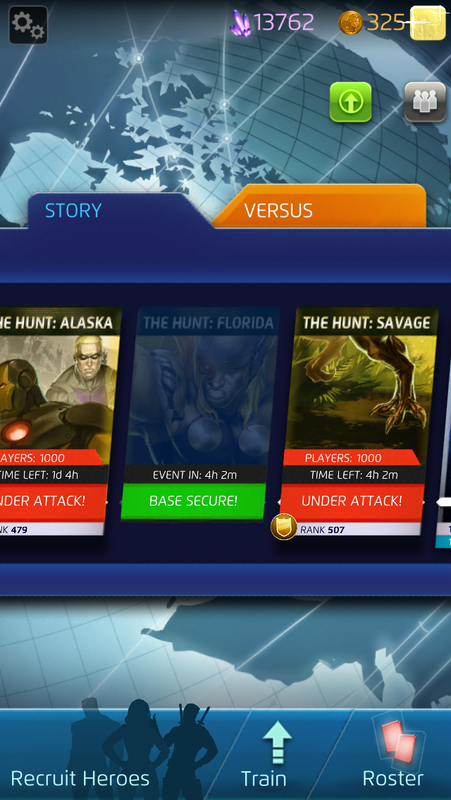 For Player-Versus-Player match-ups, you can see your enemy’s team, their levels, and the strength of their abilities. You can even see the exact damage done by every character for every move they can make. 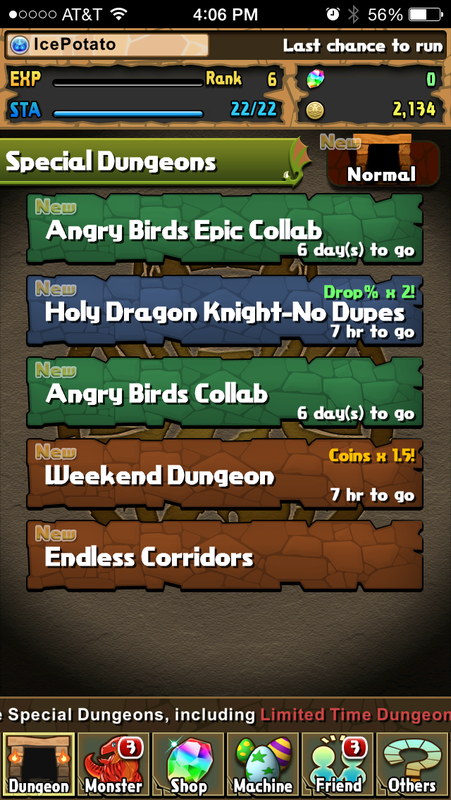 I don’t mean to come down too hard on Puzzles and Dragons. As I said, the influence it has on games even now is omnipresent and undeniable. 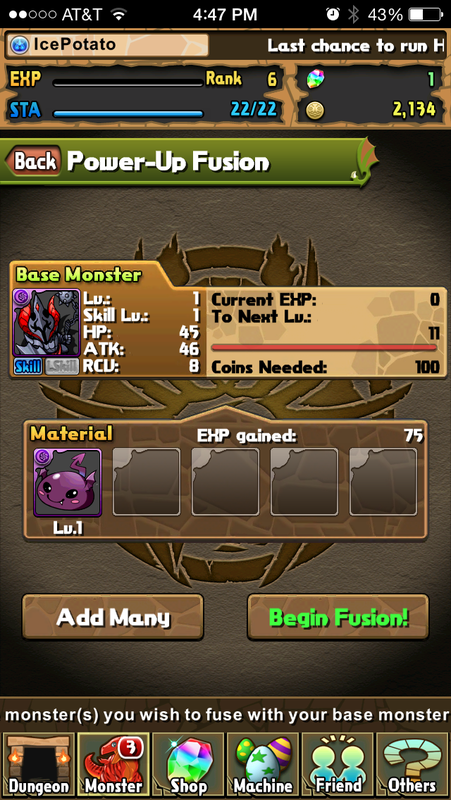 However, many of the mechanics of Puzzles and Dragons feed into player fears about free-to-play games. They are grindy, opaque, and encourage paying real money in order to make any sort of progress. 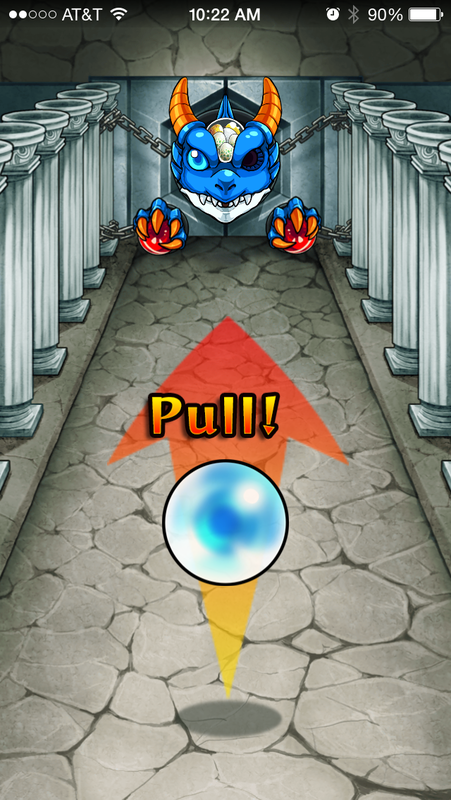 Yet even though the roots of Puzzles and Dragons do show that these fears are well-founded, games can still learn from the success of Puzzles and Dragons without necessarily falling into those same potholes. It’s important to understand these mechanics and what makes them work so that we can fix their flaws and thus make games that are not only more “fair”, but more interesting. (1) It's hard to find an exact source for when these machines became popular in Japan. The best I can find is about 1965, but this leads to a Japanese Wikipedia page. (2) Source: Personal conversations with people who have lived in Japan, collaborated on Twitter. Look, I'm doing the best I can, ok? I have a job at a large corporation. We do Business at my job. It's important that everyone in Business understands what Business is and why Business happens. The cause/effect of getting everyone to agree with each other on Business and move forward is called Leadership. Leadership has its own language. i don't know how well this language varies from business spheres to activist spheres to political spheres. With that in mind, I'm not super interested in telling people what to do or how to do it. I am interested in sharing what I have learned about Leadership and organization. 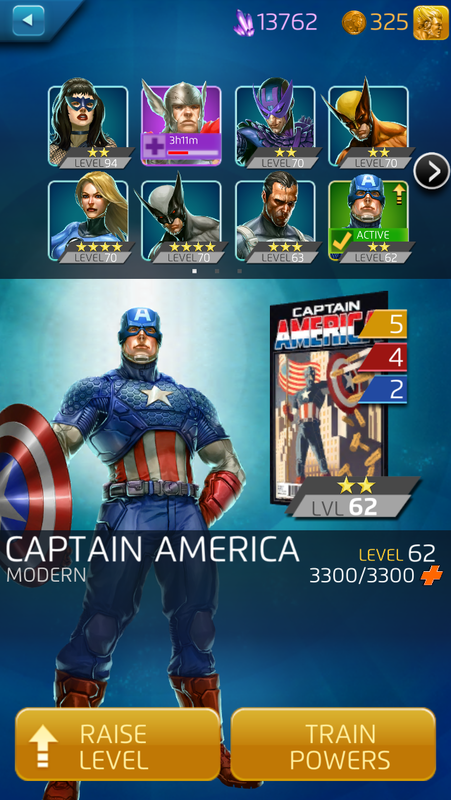 What Strategy will I use to achieve my goal? What Tactics will I use when enacting my strategy? This isn't uncommon, Business-wise. Some people append stuff like "VISION" and "MISSION" to the front, but I don't find that useful given my rank and what I can affect in my daily life. A "goal" is a specific statement about the end result of what you want to achieve. "I want peace between humans and mutants so mutants can live without fear" is a goal. Different people and organizations have different goals. Sometimes those goals go hand in hand. If my goal is "I want to stop global warming" and your goal is "I want to preserve animal species", we are not necessarily in conflict and we may share strategies and tactics. If my goal is "I want to stop global warming" and your goal is "I want to get as rich as possible in the next 20 years", we are probably in a state of significant and irreparable conflict. Ideally, goals are specific, measurable and attainable so you can come back after a time and have a solid idea if you succeeded or not. The "strategy" is your plan for achieving that goal. Many times, people who have compatible goals will have differing strategies. Scott Summers and Wolverine both want peace between humans and mutants, but Scott's strategy is to engage in guerilla warfare against the enemies of mutants, while Wolverine wants to create a safe space for young mutants to come into their own so they can control their powers without harming innocent bystanders. If we both want to stop global warming, my strategy might be to appeal to lawmakers to change laws, while your strategy might be to raise public awareness and have the public on your side. Disagreements about strategy usually focus on the most effective way to achieve a goal. As such, they are not always irreparable, but you will usually find a conflict where some people believe a strategy is effective and safe, where others think it is ineffective, or poses an unacceptable risk. This disagreement is often the cause of a fracture within a group, where opinions on different strategies are so polarized that the common goal they seek to achieve is no longer enough to unite people. "Tactics" is how you implement your strategy. Scott enacts guerrilla warfare by using psychic locators of new mutants, teleporting mutants to get in and out quickly without getting tracked, and targeting Sentinels to strike back at anti-mutant forces. Global warming activists pursuing legal paths might write congressional representatives, bribe—I mean, fundraise for lawmakers, and focus heavily on lobbying. Tactics to raise public awareness might use splashy demonstrations like flinging non-renewable energy at top executives, public demonstrations, or hanging banners off bridges. For the most part, if you agree on goals and strategy, any difference of opinion about tactics can just be added into the playbook. If I want to pass out fliers, and you want to put up newspaper ads, you can do both without conflict. I'm on the record as being interested in procedural content, but like a lot of things, procedural content is hard to do well, and when it falls short, it falls very short. Runers is a top-down twin-stick shooter. It's a "roguelike", which in this context means that you get a single chance per character to navigate a randomly generated series of dungeons. Unfortunately, it falls short. The primary mechanic of the game is that you can craft your own "spells", which are projectile magicks used to injure and defeat enemies. Sometimes, enemies drop a "rune" of a specific element. Runes can be combined to create specific spells, but it's up to you to discover the combinations. I love the sense of discovery I get when finding new spells. My first hour with the game was just trying to uncover as many spells as possible, slowly unlocking each one's secrets and nuances. Unfortunately, to combine two runes requires a special item which drops rarely. After a while, I got frustrated with how slowly my new discoveries came. That's always my problem with a roguelike. Your fate is determined as much as by luck as it is by skill and knowledge. If you get bad luck in Runers, you won't get any runes to drop at all, or plenty of runs but no way to combine them into more powerful elements. The dungeon generation is an example of procedural content gone bad. There seem to be a handful of custom-made rooms which randomly get linked together. Great level design plays against the mechanics of the game, allowing you to adopt different strategies based on the layout of the level. Unfortunately, these handful of rooms alternate between: a) large, empty room full of enemies, b) large, empty room with a giant block in the middle, full of enemies, c) small room full of crates. Games like Little Raiders do a much better job by creating varied rooms with different chokepoints, barriers, and patterns that play off of enemy behavior and player instincts to keep each room feeling fresh. Runers does not. Speaking of enemy behavior, every enemy either chases after you, or runs away from you. The most effective strategy for every room is to run in circles while shooting nonstop, and then trying to chase after the few enemies actively running away from you. This isn't necessarily about procedural content, but even the ghost movements in PacMan were more complicated than this. There are a few enemies who do something different, like steal upgrades and run away, or give you a fake aiming cursor to confuse you, or follow walls. There are a few bosses and sub-bosses who act slightly differently. Other than that, it's not interesting and dominant tactics rarely change from room to room. So there you have it. Runers could have been an awesome experience for me—figuring out combinations to increasingly cool spells and running roughshod over monsters. Instead, I got burned out pretty quickly on the non-existent difference between levels, reliance on sheer luck for getting new spells, and the monotony of enemy encounters. There are different shades of game cloning. Frank Lantz wants us to acknowledge that cloning is complicated because declaring that a game is a “clone” is prone to subjectivity and personal bias. Cloning runs the gamut from ripping or recreating art and mechanics to be a 1:1 match, to taking the same code and wrapping it in different skins, to slightly changing mechanics, to being “inspired” by existing games, to participating in a genre without much variation. There are loving tributes, which combine elements of different games into a unique form. There are legal boundaries, which vary by jurisdiction and the language of which is sometimes impenetrable. There are ethical boundaries, which are wholly unenforceable. There are grey areas, and there are audiences who don’t know or care about the differences. It’s really hard to be consistent in how you talk about cloning games. When it’s hard to be consistent, our natural biases—including societal biases—sometimes tip the scales of our decision. Awareness of these different factors should preclude any discussion of clones. With all of that in mind, Mattie Brice asks why some games have value and others don’t. In order to shed some light on that disparity, let’s compare Flappy Bird to Threes. Flappy Bird is a really incredible game. Every part of Flappy Bird, from the exact physics of the flap up and the plummet down, to the pacing of the obstacles and the precise gap you need to navigate, seems to have been lovingly crafted and fine-tuned. However, my appreciation for Flappy Bird is not universal. In an article titled “Flappy Bird Making $50,000 A Day Off Ripped Art”, Kotaku published an article claiming it achieved undeserved respect, using weak evidence tailored to fit that conclusion. Kotaku accused Flappy Bird’s creator of copy-pasting art from Super Mario Bros, but Kotaku’s evidence, consisting of side-by-side images, didn’t support their accusation. The article was later updated to indicate Kotaku regretted the misleading headline, but the question remains as to why Kotaku boldly attacked the game’s financial success. Mattie Brice did an excellent job of breaking down some of the hidden assumptions embedded in the conclusions Kotaku reached. Essentially, Mattie argues, Kotaku was reacting to an unknown developer from outside the mainstream bypassing the traditional structures of industry. When Flappy Bird’s developer decided to pull it off the market, the void was quickly filled by clones. Stephen Beirne followed up on the logic of the Flappy Jam, which was explicitly about creating Flappy Bird clones. Many of these clones did commit the crimes Kotaku accused the original of committing: stealing resources from Flappy Bird or Mario. Many clones were also inferior to Flappy Bird itself. Months later, Kotaku published an article admitting maybe it was a bit harder than it seemed to create Flappy Bird. In contrast, most of the Flappy Bird clones were straight attempts to recreate the original game and despite Flappy Bird clones being a more clear-cut case of cloning, sympathy was not extended to the creator of Flappy Birds at any point during Kotaku’s coverage. The way Threes was treated versus how Flappy Bird was treated is a little disturbing to me. Threes got to defend itself using their own design documents, in their own voice, and on their own site. Other sites were more than happy to link to the creators’ unreadably huge pile of emails explaining the concept behind Threes. Flappy Bird’s creator only got a few interviews, which by definition are controlled by the interviewer, so they didn’t give the Flappy Bird creator hardly any opportunity to give a lot of detail. In a way, this information disparity makes sense. Threes is the product of a Software Company, where the employees followed formal processes and had design documents and a paper trail. Flappy Bird is, by all accounts, a personal project that suddenly exploded. There were no other team members. There was no need for status reports or accounting. It was a hobbyist making something amusing in his off time. When Flappy Bird became a huge, international hit, there was no material to assemble in defense. Neither was there an inclination to do so, because hugely successful games don’t traditionally need a defense. So while it makes sense that Flappy Bird just didn’t have the professional structures in place to be able to defend its process, the contrast in how the two games were received disturbs me because it puts a lot of burden on hobbyist game devs. The message I get is, if you don’t follow the Industry Best Practice, and your game becomes popular, you are vulnerable to an unprovoked attack. Mattie’s point is similar. If you don’t pay the right dues, follow the right formal processes, or don’t have the right support network in place, it doesn’t matter if your game is “really” a clone or not. The label of “clone” is subject to things other than passionless examinations of precise details. It is influenced by the surrounding culture. The next time we are tempted to call a game a clone, we should think long and hard about what we’re targeting and why. I wanted to prove a point about Flappy Bird’s polish by comparing every single clone I could find against the original game. It seemed like a fun project to dive into the nitty-gritty of a game’s mechanics and compare it to imitators to see what was the hardest aspect to mimic, what people got wrong and right, and so on. I ended up not following through on this. I didn’t give up on this project because it was ambitious, or it was hard. I gave up on it because so many of these clones did what Flappy Bird was originally accused of (stealing assets and ideas), and on top of that, they tried to make money off it. In my opinion, it’s unethical to profit off someone else’s work so directly. I didn’t feel like justifying the clone developer's decisions by paying them in order to download their app, or by viewing ads on my device. This stance is apparently considered “unreasonable” by some. I disagree.